Hidden under some scaffolding on Halsey is a new store by Dawn Fitch called Pooka. She has opened a new fresh space with amazing scents wafting out the door to entice you in and a spacious backroom that will host workshops down the road. The store will be celebrating their grand opening in grand style this Thursday - Saturday (June 26-28). Learn more about Pooka and its dynamic owner below along with details about the opening. What were you doing before Pooka? My degree is in graphic design, I was working at Sony music as a digital imaging artist. Most of my jobs were always art related, even taught elementary art for a year! I started feeling run down and sick every day, so I went to countless doctors who said there was nothing wrong. I knew I had to make myself feel better so I started trying to adopt a healthier lifestyle, reading labels, taking certain things out of my diet. I love bath and body products but I turned over the bottles and couldn't pronounce the ingredients, so this prompted me to make my own products that I knew would be better for me. I didn't really plan on it being a business, I was just making things for me. I started making so many different products that my apartment was filled, my friends prompted me to take the products to a local festival and we sold out, that's when we knew, we had a business! That was 14 years ago! The name Pooka came from my mom, she used to call us, her kids, her pookalitas! We have no idea why, but we know it's a term of endearment from her. I wanted to call the company Pookalita but it wouldnt fit on the label, so shortened it to Pooka! Tell us about what makes Pooka products different? Pooka is simple, usually no more than 5 ingredients, something you don't have to worry about being harmful, BUT i'm a girlie girl so I wanted great scents. We blend fragrance and essential oils to come up with some great smelling goodies that are good for your skin. What brought you to Halsey/Newark? 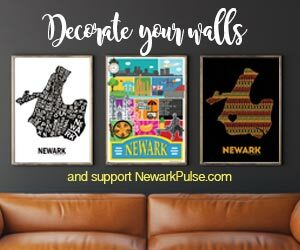 We had a previous location that didn't get too much traffic, a friend asked me If I would ever consider Newark. I decided to come and take a peek and when I saw all of the energy that was buzzing on Halsey Street, I knew that was the perfect place to be. What future things can we expect to see at Pooka store or products? We've got a lot of fun things planned for the store! We're going to do lunch xpress workshops, where you can come in, make some products and have a blast during lunch, the perfect way to break up your day. We're also going to have a Gifts To Go, so that we can deliver corporate gifts and spread Pooka through the city of Newark. Pooka products are also sold in 42 Whole Food stores so we're looking to expand that this year! 11am-4pm: Beauty Brunch with guest bloggers including mini mani's, hand massages, light food and you!